Massachusetts intends to identify microgrid opportunities statewide, mirroring work done on a more concentrated level by the City of Boston, according to state clean energy officials. 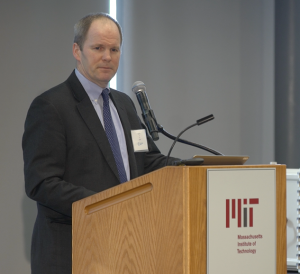 Stephen Pike, CEO of the Massachusetts Clean Energy Center (MassCEC), and Galen Nelson, a senior director at the center, described the state’s microgrid strategy Thursday during the center’s Microgrid & DER Controller Symposium at the Massachusetts Institute of Technology in Cambridge. Boston last year mapped out 42 “hot spots” for microgrids and other forms of distributed energy based on preliminary cost benefit and engineering studies. The city also more recently identified several neighborhoods that would benefit from microgrids to ease the effects of climate change. “That’s enabled Boston as well as project developers to do a fair bit of planning around those sites. That’s an effort we are looking to duplicate – not just for Boston – but for communities statewide. We’re looking to put some funding to that effort in the coming months as well,” Pike told the audience of more than 200 vendors, microgrid developers, energy infrastructure decision-makers, utilities and policy leaders. Specifically, the state is looking for areas on the utility distribution grid where microgrids offer benefits. Nelson cited a range of possibilities from microgrids as non-wires alternatives to microgrids that serve customers with large reliability needs. “Where are existing distributed energy resources that might be leveraged. Where do you have the active and interested engagement on the part of the local community? And of course where are there critical facilities that could be supported?” said Nelson, who serves as the MassCEC senior director of innovation and industry support. The state is looking at such “layers and filters” to pinpoint good locations for initial pilot microgrids, Nelson said. Network and capture microgrid opportunities in Massachusetts by attending Microgrid 2017, Nov. 6-8, in Boston. Massachusetts plans to initially choose three to five sites from the solicitation. Winners will each receive grants — about $75,000 — to further scope out their projects in the hope of attracting investors. Nelson expects the initial projects to be in communities already engaged in sophisticated energy planning. 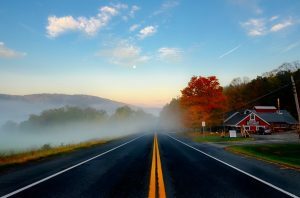 Eventually, the state hopes to build upon their momentum and release additional microgrid funding for more communities. The goal is to produce 8 to 10 “high performing” microgrids through the state program, he said. Massachusetts wants to find microgrid opportunities that not only reduce costs and increase energy resilience but also support the state’s greenhouse gas goals. State law requires that by 2020 Massachusetts reduces greenhouse gas emissions 25 percent from such sources as utilities, industry and transportation. Nelson emphasized that work still needs to be done on regulations to support microgrids – and in convincing utilities microgrids are a good thing. “There is still a lot of skepticism and a need to build confidence within the utility community about the function of microgrids and particularly microgrid controllers, which is why we had this event,” Nelson said. 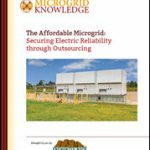 Microgrid controllers – software-driven technology that is often described as the brain of the microgrid – is “key to building a wave of interest in microgrids,” Pike said. The event showcased microgrid control technologies and included live demonstration projects by Schweitzer Engineering Laboratories (SEL), Schneider Electric and Eaton. The state also plans to release $10 million in funds for energy storage in the near future. Project awards are expected to range from $100,000 to $1.25 million, according to Nelson. Pike added that “microgrids might be the answer” to a range of electric grid problems. The caliber of company in the microgrid arena is proof of that, he said, singling out in particular GE and Schneider Electric. Schneider is now headquartered in Massachusetts, and GE is in the process of moving to the state from Connecticut. Registration is now open for Microgrid 2017, the defining microgrid event of the year, to be held in Boston, Nov. 6-8. Kevin Normandeau contributed to this article.